The definitive story about women’s Make-up. The definition of a beautiful face has never been constant. Gabriela’s stunning new book explores the social political climates which helped mould what are now accepted beauty rituals. 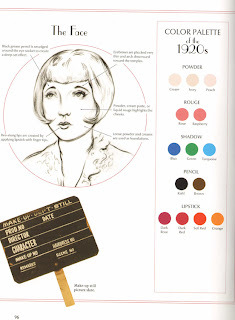 Classic beauty is a stunning reference book, chronicling make-up trends for eyes, lips, face and has richly illustrated in depth reviews of classic eras from the 1920s up to the present day. Over 430 images, detailed timelines and color palettes, which show the changing definitions of beauty. You’ll learn about all the famous innovations [ who invented mascara, lipstick etc. 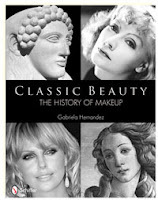 This book really is all you need for the complete history of make-up. Whether you’re makeup pro or just an enthusiast then this book is a fabulous reference. Written by the recognized guru on vintage and retro make-up styles, Ms Besame Cosmetics herself – Gabriela Hernandez !